Monday night was one of my more unusual performance contexts (I know I seem to be writing that a lot lately). It was the opening of an art exhibition which in some way (I never had time to find out exactly how) constitutes part of a PhD submission at Oxford Brookes University, by Veronica Cordova. Her doctorate is in combined arts, however, not Fine Art or equivalent label meaning visual and static only; so the opening event also included two short performance art slots. The first of these had live musical accompaniment, and it was this that I was involved in. So I, or rather we, were backing nine-minutes of semi-narrative, semi-symbolic (I believe) solo movement connected with an episode which took place in a Holocaust concentration camp – explicitly not dance, though I would find it hard in some senses to draw the line; the difference is probably about being rhythmic or not in expression. Veronica had commissioned a piece for this, from a composer in Mexico (her home country I believe). It was scored for the slightly unusual string quintet format of two violins, viola (which I was playing), cello, double bass, and constructed largely around a repeated (but moving around the group) crotchet-quaver pulse in 12/8 time (suspended in a middle section), and a long-drawn-out thread of suspensions, partial or achieved resolutions and modulations of harmony, with corresponding swells and falls in volume. All of this proceeded at 29 dotted crotchet beats per minute, which is to say just under one beat in two seconds. Try that against a metronome, or even a watch with a seconds hand, and you’ll rapidly understand why we resorted by immediate common consent to counting quavers instead (87bpm is pretty reasonable to count though still not fast). This also explains the biggest difficulties of the piece: staying in time (above all in the 16 bars or so near the centre point without the ‘heartbeat’ pulse in any of the parts), keeping concentration (with very few evident markers except where a part came in or dropped out, losing your place could be fatal! ), and sustaining one to a part tone over notes that were often very long indeed. Interestingly, when we first rehearsed it at the peak of last week’s southern UK heatwave, the speed seemed crushingly slow and it took us about half an hour to find the ‘groove’ (yes, this can be a real issue for classical musicians too!). Coming back to it on Monday in lower temperatures, though admittedly with much better familiarity, the exact same tempo as dictated by metronome literally seemed quicker, I believe because we were all able to relax into it much more easily. That said, I had to focus too much on playing (see above) to give any real impression of Veronica’s performance over this aural backing. What I can say (with broad consent of the other players) is that having in some sense ‘got into’ the musical piece, despite its evident and achieved goal of being harrowing in most places – a lament and more goos than threnos if I remember the terms of classical literature correctly – it also had moving moments of real beauty. One of the effects learned from modernist harmony (or perhaps earlier, thinking of Wagner or Richard Strauss) is that a context of heavy and/or sustained dissonance and suspension can make a carefully-planned arrival at a simple minor or major triad a thing of startling beauty. For the next few gigs the viola gets packed away again and it’s out with the violin and pickup. The Filthy Spectacula return to one of our first festival bookings tomorrow (Friday) at Kippertronix (further up the bill this time! 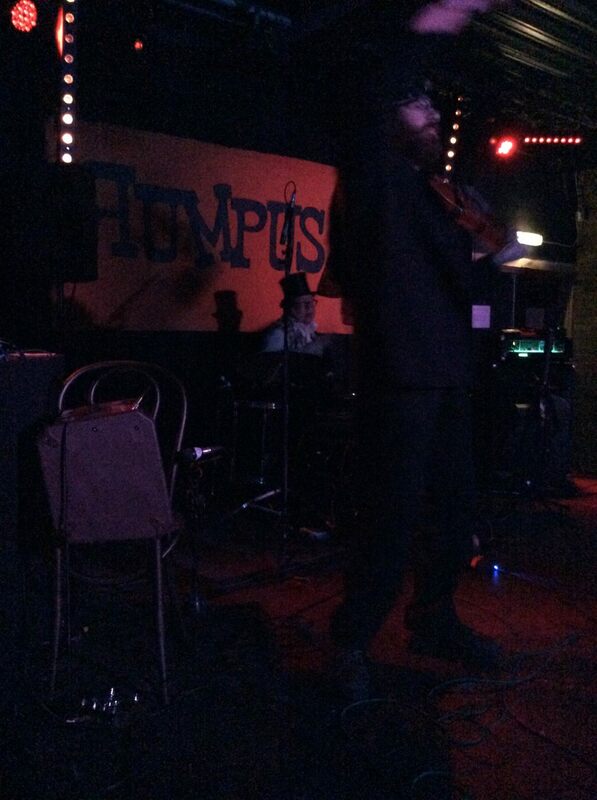 ); on Saturday Kindred Spirit duo are back at the Hope in Richmond where we’ll see if I can whip the crowd up with violin showboating any earlier in the set than two weeks ago! On Sunday, anything but fresh from playing a full evening’s music on the other side of London the night before, the Filthy Spectacula assembled at a suburban semi in Twickenham. Joining us, director / video-making one-man band (for this job) Dan Cayzer and an increasing band of cast and extras – special credit here to actress Julie Cloke and long-term band associate and collaborator Greg O’Regan. The task: shoot the band’s second music video, in a day. If you’re thinking glamour, doing some poncing about for a few minutes in front of a camera and then wandering home, forget it. I was there for 13 hours; Dan it was more like 15 with setting up at the first location and packing up at the second. Inevitably there was a lot of waiting around as different groups / combinations of people did their bits (downside of only having budget for one camera operator) and sets / lighting were re-arranged; no let-up for Dan though. Even up-to-date low-energy video lights make a room really warm really quickly. Especially shooting during daylight as excluding the natural light (to avoid shadows etc.) generally means excluding the ventilation too. Even more so when most of the shots are either in bed or involving a lot of bouncing around from the cast. When you’re tight on time, it’s difficult (and I suppose unnecessary) to tell whether the director is getting you to do the shot again because you fluffed something, or in order to get a different camera angle. Either way you end up doing most things three or four times. You wouldn’t believe how much hard work it is to produce 3.5 minutes of footage over the course of 12 hours! The song is ‘Ode to Drunk Romeos’, available from all good streaming/download providers or as part of the album Thrup’ny Upright which is available as CD and/or digital download from our website if you want to send a noticeable amount of money our way! 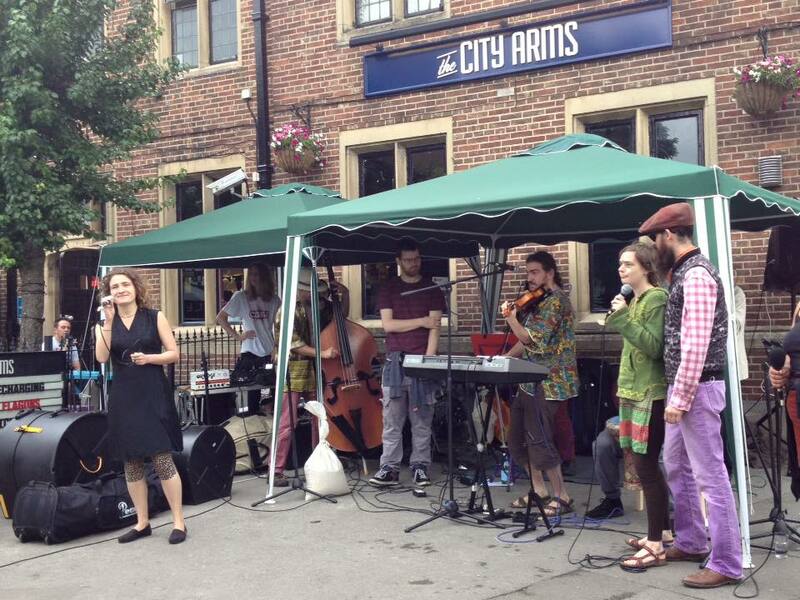 The (Old / Music) Mill is an apparently thriving community local boozer. OK, now stop. Read that sentence again. When was the last time you read something like that? 10 years ago? 20? Community local pubs are a dying breed, surely? The Mill does some food, enough to have a chef on the payroll, but it’s certainly no restaurant-style gastropub, or Americanised craft beer and burger joint. It has a very respectable changing selection of draft real ales, but it certainly isn’t sustaining itself on a CAMRA listing and connoisseur tourism. I’ll come back to the music situation later. So there are two things that make the Mill distinctive as a pub. One is that its clientele are varied in pretty much all respects (age, nationality, ethnicity, gender, tastes) except locality of current residence – no niche, clique or subculture – and yet know each other well and get on well. The other, in the context of the first, is that it isn’t (I’m reasonably sure) imminently about to go bust. However, it has also partially rebranded itself as a place for music. And its handling of that side of the trade is ad distinctive – and as successful – as its general survival. There are bands there twice a week now I believe. They are genuine professional performers, who get paid a reasonable fee (I’m not going to disclose what) plus (usually worth having) jug contributions from the crowd, and the possibility of making a fair bit more on merch if you have any to sell. But they play in the bar, no separate venue space, no door charge or even bar markup to those getting the music. The Mill book all sorts of bands. Folk-rock, reggae, punk, electric blues, you name it. I mean, they’ve had us twice … What they don’t book is conventional covers/function/party bands. In fact more than one punter told me on Saturday they only like covers done creatively, changed into a band’s own particular style. We took an all-originals set – as we always do. And it isn’t just a management thing, this preferring originals; it isn’t a snobbish organiser imposing music he finds aesthetically acceptable on a crowd with no agency. Sure, the Millers (couldn’t resist, sorry) definitely like danceable beats (though some danced to songs we’ve never seen any other crowd attempt! ), shouty-engaging frontmanning and over-the-top stagecraft. But they absolutely lap up getting them provided in the form of songs they don’t know and haven’t heard on the radio. In an era when (and I speak from experience) most bands that are actually getting paid to play are anxiously trying to achieve greatest response by juggling what was in the top 40 last week with what was in the top 40 when their average audience member was 16, and still worrying about being upstaged by a TV showing the football with the sound off, that is truly remarkable. 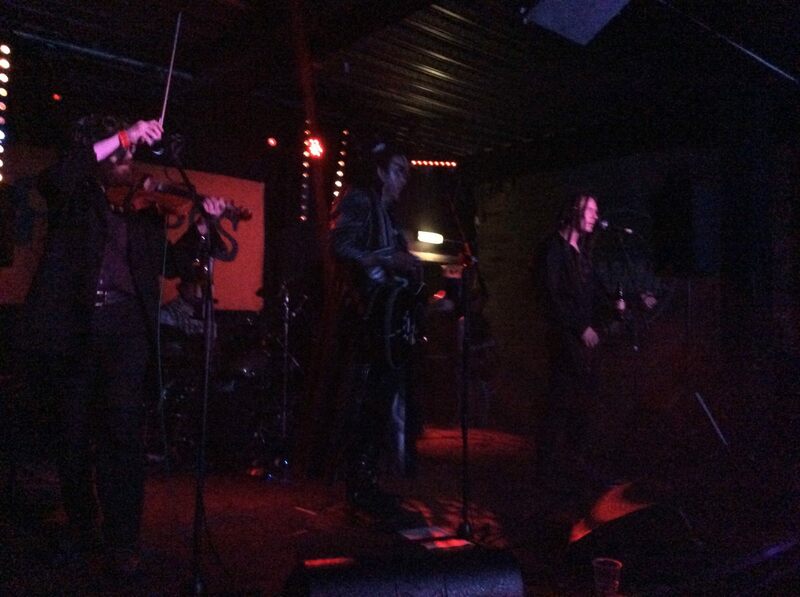 And even a band like the Filthy Spectacula, who have hardly ever played to an indifferent audience, could not appreciate it more. Here’s to you, Mill folk. We don’t know how you do it, but it’s magic what you do. We’ll be back when you’ve got time for us. It’s been a very busy week. I’m probably going to skip writing about rehearsals, and even so I’m going to have to make you wait for laconically rambling accounts of probably London’s most musical community local, Filthy video shooting that did verge on the filthy, and the slowest tempo I can recall playing in. For the moment, let me catch up with last Tuesday and Wednesday. I’ve written already about the arranging process for what its creator David dubbed #shinyday, and won’t go back over the same ground as such. But the rehearsals (both of them) and performance involved both my arranging and playing (viola) fingers in this particular pie. As probably mentioned or implied before, this was the single biggest body of my independent musical work to be played to date – seven songs, four of them covers I had essentially orchestrated from existing versions, and three originals for which I was responsible for the harmonic and textural structure of the accompaniment as well as its instrumentation. We met to rehearse these (and three others contributed by two other arrangers) with less than 24 hours to go to the performance, which is cutting it fine for making adjustments if anything plays badly in practice that seemed OK in theory! I think I got off very lightly. One passage of texture got transferred from violin to piano (fortunately, in a number from Wicked and with a pianist, David Harrington, who teaches musical theatre at RWCMD and so had no trouble ad-libbing in the line!). I found a missed accidental in one of my own parts. And one song turned out to be in not quite the key the singer had wanted – which would have been absolutely devastating a generation ago, but a relatively minor inconvenience now: on the Wednesday morning with a run-through still to go: transpose up 4 semitones, print; transpose up 4 semitones, print; repeat until I have a complete set of parts in E to take with me and hand out before we start. Otherwise I was very happy with the sound of my charts, and rather gratified to find that quite a few things which sounded at risk of being banal or dull in (very crude) computer playback (which I use more to make sure there are no typos than anything else) worked a lot better with real instruments and voices. Which brings us to the event itself. Slightly misleadingly as it turns out, when I wrote about arranging I commented on adaptations to ‘autism-related auditory hypersensitivity’. That was what was relevant to the brief up until that point, but it turns out to be merely an aspect of what I find is usually called autistic sensory hypersensitivity, and the nuances of that (some counterintuitive to those, like me, without first- or even second-hand experience) were to be crucial to the setup of the evening. Even in dress code, bright colours were actively encouraged but patterns, stripes, checks or anything ‘busy’ verboten. Similarly at the venue some degree of mood lighting was in but flashing, strobes, disco lights etc. out of scope. This weekend’s gigs were hard work. Not particularly in the stock metaphorical sense of being ignored or having to really be over-the-top to not be, but literally. It’s been a heatwave weekend, and humid with it, in southern England at least. Brixton Hootananny is high-ceilinged and fairly spacious as indie rock venues go (to be honest it’s usually more of a reggae and allied genres venue, with fairly frequent ventures into Balkan-beat and other brass-led sounds), but even for our opening slot at Stranger than Paradise it was fairly well occupied, and it’s not exactly airy. Filthy Spectacula sets always involve a lot of jumping around anyway! The Hope wasn’t particularly stuffy last night in its own right – it was just conforming to the temperature and humidity of surrounding Richmond, ie positively Mediterranean. Kindred Spirit pub gigs (the full band sets are another matter) are mostly rather more restrained in stagecraft than Filthy ones, but also a lot longer, at standard 2 x 45 minimum. The place really started to fill up about the end of our first set (Elaine and I already dripping sweat! ), and suddenly came fully on board with us over half way through the second, apparently won over by a barnstorming, caution-and-taste-to-the-winds (and much more extended than I’d planned) rip through Lynyrd Skynyrd’s ‘Freebird’ – which was certainly the last straw for my core body temperature! See you at something, or on the other side! Old-ish, anyway. Otherwise known as The Annual Circuit Tour. The String Project opening proceedings at the eastern end of Cowley Road Carnival seem to have provoked a veritable media feeding frenzy. So, Rumpus Party with the Filthy Spectacula – where to start? It’s going to be a high-speed weekend, and I have at least two different hats to wear over it. Metaphorical ones. 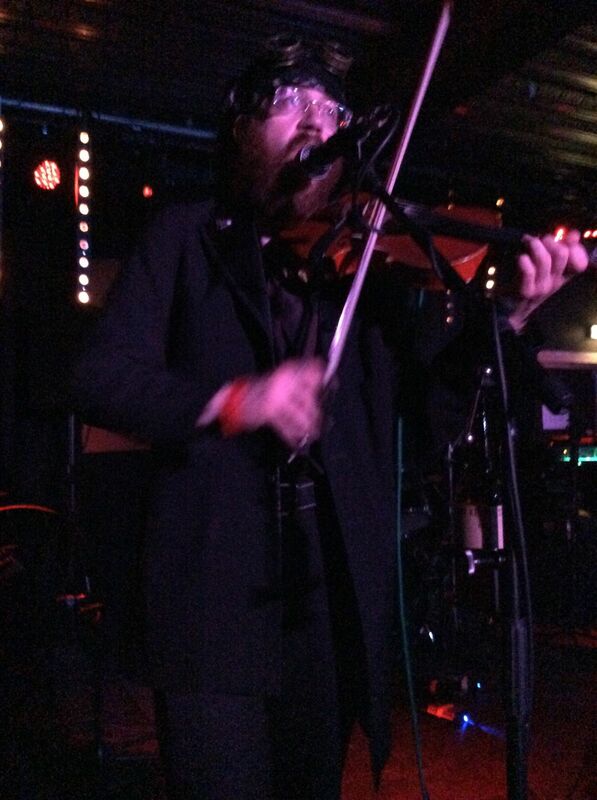 I can’t do band gigs in a literal hat unless I grow enough hair back to pin them to my head; I’d have to reclaim it from the second row of the audience (or the drummer, or both in succession) every time. Saturday lunchtime: Practice with the String Project on viola (remember I play that? ), welcoming prodigal son and prodigious beatboxer Pieman back to the fold (for the weekend) from his Bristolian activities. Saturday afternoon: open the Tithe Barn stage at north Oxfordshire festival Ramfest. This is a semi-private event so you might have to get an invitation rather than be able to just buy a ticket, sorry. 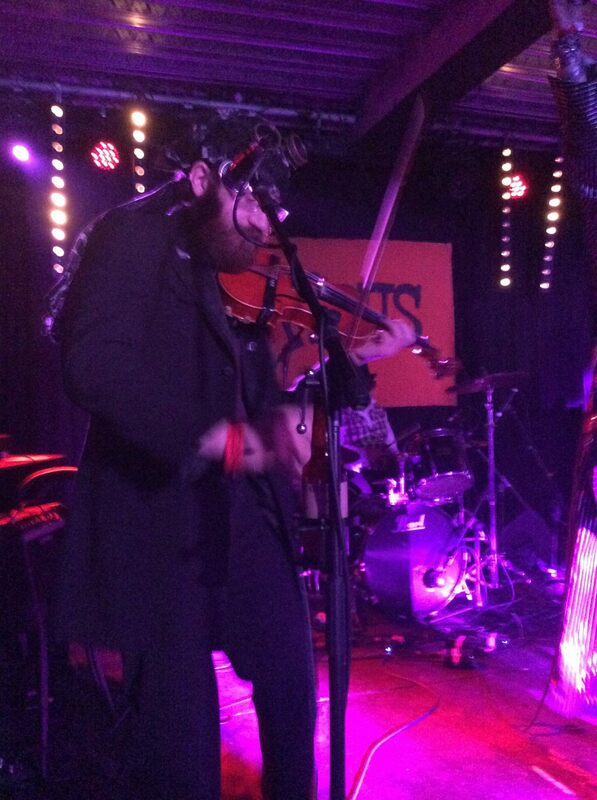 Saturday evening: jump on a train and head to London, swapping instruments (to violin) and personae along the way, to play with The Filthy Spectacula at the summer party of legendary debauchery central Rumpus. It’s a bit scaled down as a summer-holiday Rumpus-lite, and at Brixton Jamm rather than the usual Islington Electrowerkz; but should still be epicly crazy (and I’m not using that as intense version of ‘good’; I do mean the memories will be like an acid trip however sober I stay) and has still been sold out for weeks. 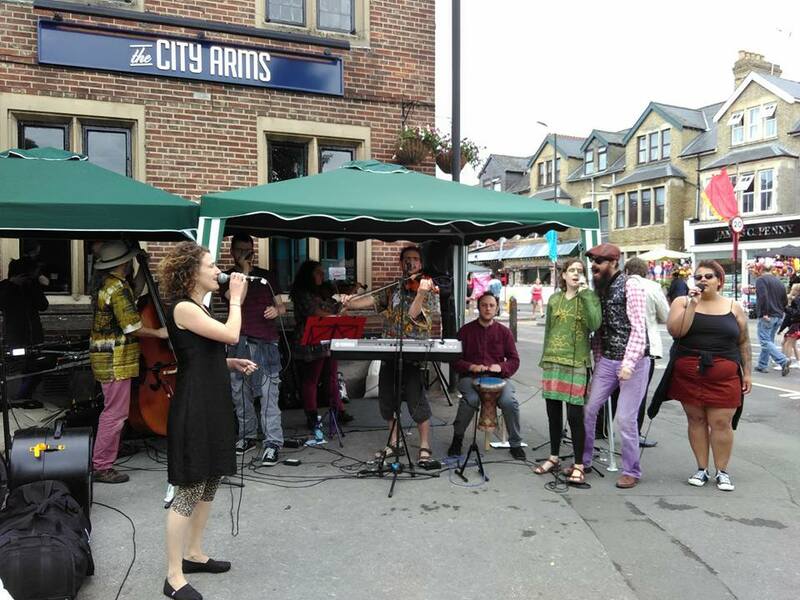 Sunday lunchtime: get back in String Project mode for Cowley Road Carnival. This one you can come along to! and please do, it would be good to finish the weekend’s work on a high. 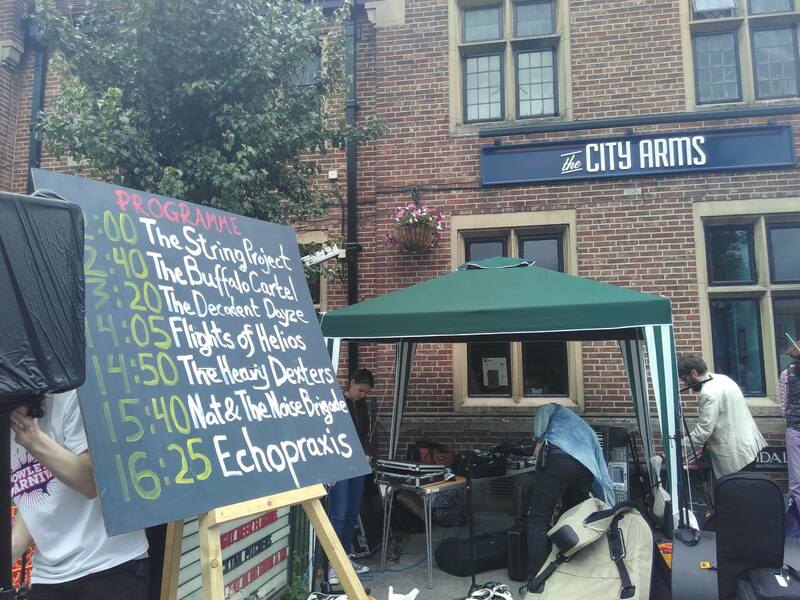 We’re opening musical proceedings outside the City Arms, playing about half an hour from 12. Bring your dancing shoes!